If you live in the country, or a larger property, or somewhere you prefer your dogs outside, they need some creature comforts especially if you live in colder climates such as I do! These are perfect for the dog house or shelter. 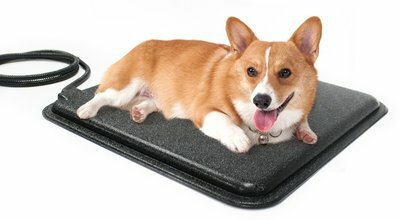 They only come on when your dog lays on it, so that you are not paying for electricity to heat it when it is not being used. This is the part I absolutely love about these pads or beds. I always thought they were on all the time which would affect my electricity bill, but only when they use it. This model only heats under the part of the pet that is putting pressure on the pad which is even better. Great for barns, porches, unheated shelters and dog houses. Totally protected from water. Chew proof cord as well. ​This will keep them warm and off the damp floor which can really stiffen joints and age a dog quicker. Larger dogs especially those that live outdoor would really appreciate this in those colder winters and cool damp days. Add to this a heated water bowl or food bowl and they will be totally comfortable and happy on those subzero days and nasty winter storms. ​Don't forget about the comforts for your outdoor dogs especially as they get older, it gets harder and harder for senior dogs to deal with the cold. Give them water that doesn't freeze and access to food and a place to shelter and they will live longer and happier lives. ​It also makes it easier on you to take care of them. These are very efficient and can be used indoors or out. 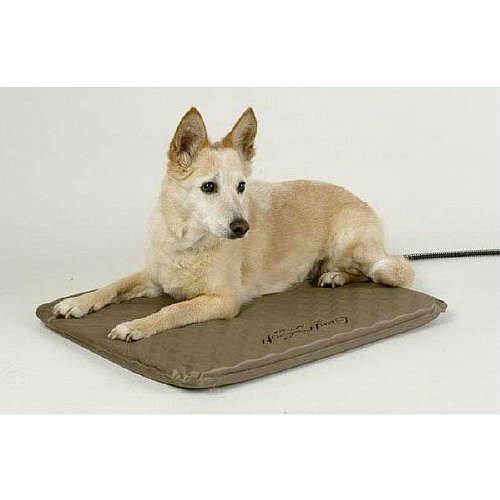 If you have an older dog these warming beds are perfect for keeping their joints more limber as they age. Technology is making it easier for you to take care of your beloved pets, especially dogs. If they are indoors there are all kinds of things you can offer them to stay warm, happy, and healthy. Everything from electronic automatic feeders that respond to your phone, to indoor toilets for those days when you are going to be late. But what about the outdoor dog? ​In the winter sub zero months it can be hard for your outdoor pet to stay comfy and warm even if he is a larger outdoor breed it is still necessary to keep him hydrated with unfrozen water and a place to hide from the elements. Outdoor heated water bowls keep his water fresh and unfrozen making it easier for you as well as him. Having a dog shelter where he can go to escape a brutal wind or serious cold really helps him too and could also double as a feeding station. But how can you keep his joints happy? A heated outdoor dog bed.